Your outline so beautiful 0A0! ,The colour too. the vector! with thick outlines and sharp colors! Awww you added Lulu with a rose! That just adds another charm to him <3333 A definite heartthrob and an awesome vector! Keep it up! 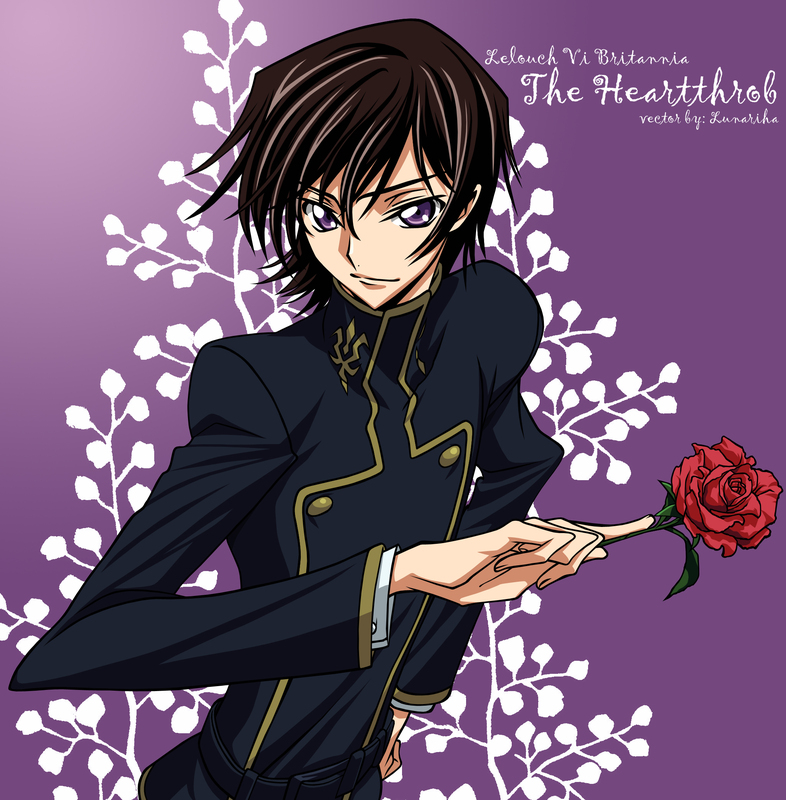 Lelouch sama i love you. Who'll get this red rose. It would be C.C !><"
This is a gorgeous vector, Lunariha! You've got the hang of vectoring all right... the outlines are great, bold and as striking as his pose. 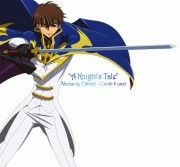 Lelouch is so handsome in your vector...you did all right with the belt, don't worry. Okay, now some nitpicking. While I love the brightness and boldness of the vector, the background feels a little off...the fuzziness is all right at the top part but stands out too much at the darker, lower area. And while I did like how you vector the rose, I expect that next time, the shadows could look more natural..
See you at Rainfalling Love! is beatiful! 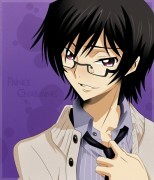 lelouch looks very handsome is sooo cute ! i wonderful you vector! precious! If only I know better on how to use my Paint Shop.. I probably can make a wallpaper of this..
Great job with the vector. Yeah, the belt looks kinda hard because it's so dark. But you really did an awesome job with the vector. Where do you get such good renders? Excellent work by the way. haa! this is wicked! nice! good job! Yeah! I have look every way to fing an art without ppl or words blocking him. Now i found it.